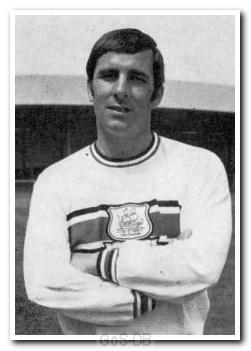 Saltash-born Reeves spent his entire professional career at Home Park. After playing for Saltash United he signed as an amateur with Argyle before turning pro in 1960. Although sometimes a fringe member of the squad, he did make an important contribution in his ten years at the club and was actually the first-choice left-back for about 18 months towards the end of his career. A further service he performed was to recommend Colin Sullivan, another Saltash-born fullback, to the club. After leaving Argyle he moved to South Africa to play under Micky Lill at Germiston Callies.